It has been revealed that there was one key factor that saw former Arsenal captain Cesc Fabregas join Chelsea this summer, and it was the extra mile that Jose Mourinho went to to bring the Spaniard back to London, according to the Daily Mail. Khedira Arsenal Chelsea: Arsenal & Chelsea on alert as Real Madrid’s Sami Khedira states desire to play in Premier League. Arsenal XI Fabregas: Arsenal XI if they had have resigned Chelsea’s Cesc Fabregas. 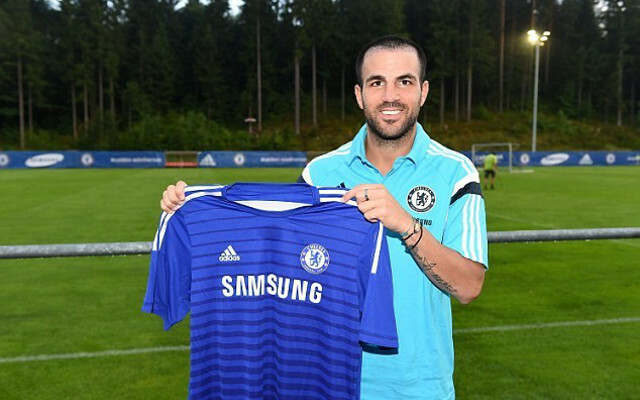 The Portuguese manager flew out to Spain to convince Fabregas personally that a move to Chelsea was the right one for him. This personal touch was enough to make the classy midfielder feel wanted, something he hadn’t felt for years at Barcelona. The ex-Gunner joined the Blues in a deal worth around £27m in the summer, much to the annoyance of Arsenal fans. Despite his previous association with Arsenal and the Premier League, the former Barcelona man probably won’t be regretting his decision just yet. Chelsea are flying high, and Fabregas has been a key part of their fantastic form early on in the season. The London side were already favourites to lift the title this season, and their undefeated start to the season has only confirmed the likelihood of that. Jose Mourinho’s Chelsea were missing something last season, but the former Real Madrid manager has filled that void superbly with Cesc Fabregas and Diego Costa.